Grafo-Mania, a Polish graphic studio, is specialized in architectural visualizations, real-time visualization, animation and 3D graphics. 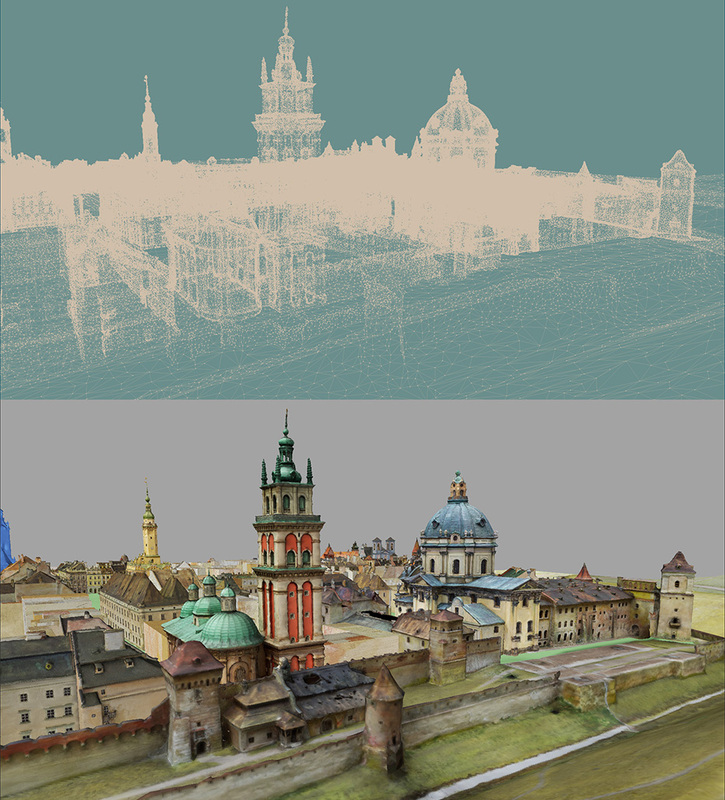 With a very small team, Szymon Krygicz, Piotr Zuchliński and Marcin Chłopik have worked together to create this amazing interactive 3D installation of the city of Lwów (Lviv, Ukraine today) as it looked like in mid-18th century. 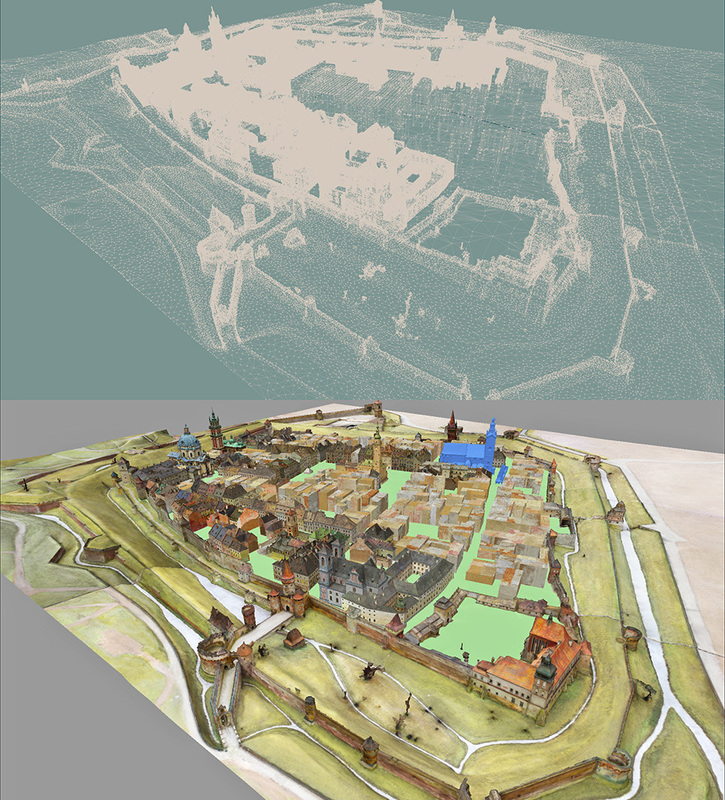 Based on the work of the Polish architect and art historian, Janusz Witwicki, they had to rebuild over 180 miniature buildings, including minuscule houses, churches and monasteries using 2 powerful software packages: LightWave and Unity. Thanks to their amazing work, people can now immerse themselves and navigate freely in the ancient city of Lviv. A nice virtual way to learn the city’s history! Grapho-Mania: Hi! We are a team of 3 people specializing in interactive visualizations rendered in real time. We usually use LightWave with Kray Render for Architectural Visualizations and other 2D apps for Design. This is how we work every day. About two years ago, we decided to extend our profile slightly and make interactive applications in Unity. 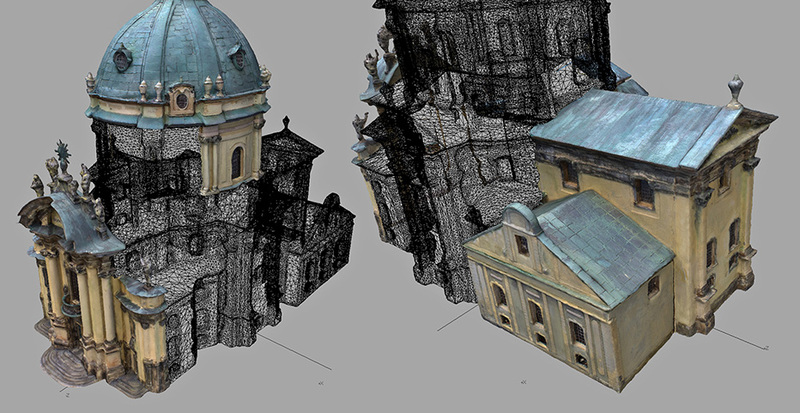 "Old Lviv Panorama" was a new kind of project for us. It was larger than usual and we had to work with 2 different 3D programs: LightWave and Unity. 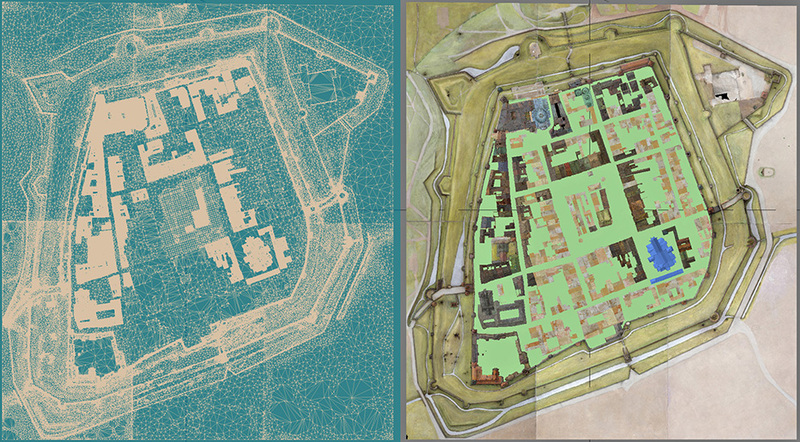 We had to create a virtual copy of Janusz Witwickis's Lviv Relief Panorama - a monument created almost 100 years ago. 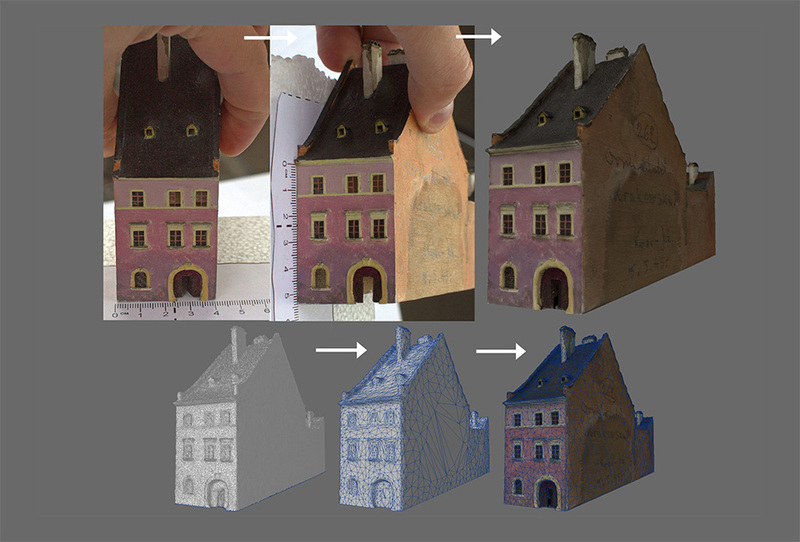 After receiving 3D scans models from the “real” model by our business partner – Linea, which by the way made a pretty awesome job since some models were very small (8cm) and needed to be scanned separately, we had convert all the models to low poly. 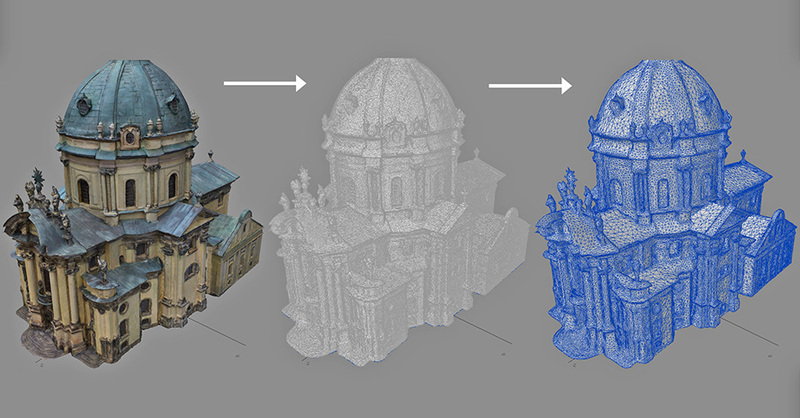 Those Models were very hi-poly: typical building were from 25.0000 to 1.000.000 polygons, church about 2.000.000 to 3.000.000 polygons and the scanned models weren’t very precise, with a lot of imperfections. We didn’t have the time and budget to model from scratch, so we used the powerful LIghtWave Modeler to create nice clean low-poly and mid-poly models for each building, gate, wall, terrain ... almost 180! The whole project took about 6 to 7 months to be accomplished. Since it was the first time we were doing this kind of project, it was a great experiment. It was pretty hard to put all geometry together and we came across a certain number of problems creating the application. But thanks to LightWave and his very fast and stable piece of software, we made it! Learn more about their work on the Grafo-Mania website, YouTube or Facebook.